While recently hearing about the new-and-improved ’06 Forester at a press briefing, it struck me that Subaru is in a very enviable position. The brand’s buyers, though an odd bunch, have some of the most enviable demographics in the business — and psychographics (the current buzzword for marketers). They’re a geeky bunch, well educated; they tend to keep their cars a longer time; they’re outdoorsy folks; they value performance and technology over fashion; and most of them would rather not be in something that’s extremely flashy. Even more notable, Subaru boasts that its buyers are in a much higher income bracket than typical, and could afford a more expensive car but choose to have something more understated and practical. Wow. In this very rare case in the auto industry — the new Forester being the case in point — marketing hasn’t gotten in the way of the product’s purity in purpose. Subaru is very comfortably selling a car designed for the existing buyer base, not trying for an entirely different one, which is so often the case. Which may be, on another level, why some buyers just don’t understand (or appreciate) Subarus. Are we getting too deep for you here? Philosophizing aside, after a short drive in the Forester it’s easy to appreciate the way that the Forester combines sophisticated mechanicals with rather plain-Jane stealth. If you’re not really thinking of what you’re inside, on a tight, switchback-laden road you can get caught up dreaming that you’re inside a sport sedan; and on a rutted forest path or a muddy slope you can just as easily convince yourself that you’re in some sort of macho, purpose-built sport-utility. The truth is, you’re in a vehicle that won’t have sky-high running costs, one that won’t be a cop-magnet, and one that you can parallel park without grief. The liftgate is low and easy to close, too. Did we say that women make up well over half of Forester buyers? Over the past eight years since its original introduction, the Forester has continued to wow us with a mix of on- and off-road prowess that’s really unrivalled in its size and price class. 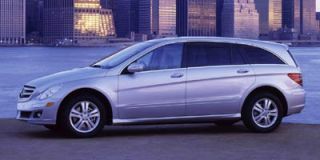 Its superb all-wheel drive system is geared for the road but provides good off-road performance as well; and it’s one of the best-handling sport-utility wagons on the market. The “second-generation” Forester, introduced for 2003, offered some significant cosmetic changes inside and out (yes, without becoming too flashy), along with some improvements in performance and utility. With the early ’06s that begin arriving to dealerships about now, the Forester sees another mild restyle, and as is typical for Subaru, plenty of meaningful mechanical changes underneath. 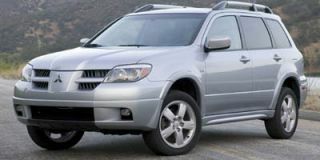 The host of styling and mechanical tweaks for ’06 — termed by Subaru executives as a “big minor change” — start most obviously with significantly revised front- and back-end styling. In front, there’s a new fascia with a distinctive new grille that emphasizes horizontal lines, while in back the taillight appearance has been changed slightly. The curvature of the rear hatch has also been changed — it’s now a bit more convex than before. And from the side, the C-pillar is now body-colored rather than black. In short, it’s all a slightly more toned-down and carlike version of the “premium SUV” styling cues introduced in the Forester for ’03. Although the new Forester is still far from flashy, a new adjective — elegant — could now be accurately applied. Mechanically, the big news is more power for both engines, along with some changes that should bring improvements in ride, handling, and drivability. 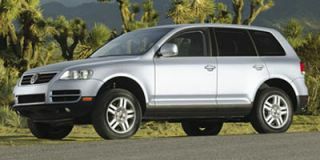 The standard engine for most Foresters remains a 2.5-liter single-overhead-cam, horizontally opposed (flat) four. Power is now up to 173 hp (from 165 hp for ’05). 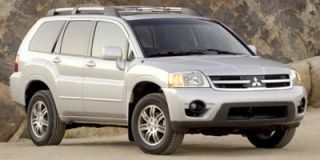 The higher-performance turbocharged 2.5-liter double-overhead-cam flat four, now making 230 hp (up from 210 hp for ’05) is only offered on the XT Limited model. Both engines feature an aluminum block and heads. The base engine now inherits the turbo’s variable valve lift system, called i-Active, that lets the one intake-valve tappet per cylinder to be locked into a higher position, allowing higher performance when needed. Because the other non-variable valve for each cylinder operates only in the higher position, the new arrangement generates turbulence and allows increased swirl at low revs and provides better airflow at high revs. The device is operated by oil pressure, and the second profile varies depending on engine speed and load. Along with i-Active, in both models, the cylinder heads now contain solid valve lifters — as opposed to hydraulic ones — but they don’t require adjustment until the timing belt replacement at 105,000 miles. The exhaust system has been redesigned for all Foresters, but the turbo makes some significant power and efficiency gains due to a full redesign of the intake and exhaust manifolds as well, and also a higher compression ratio. 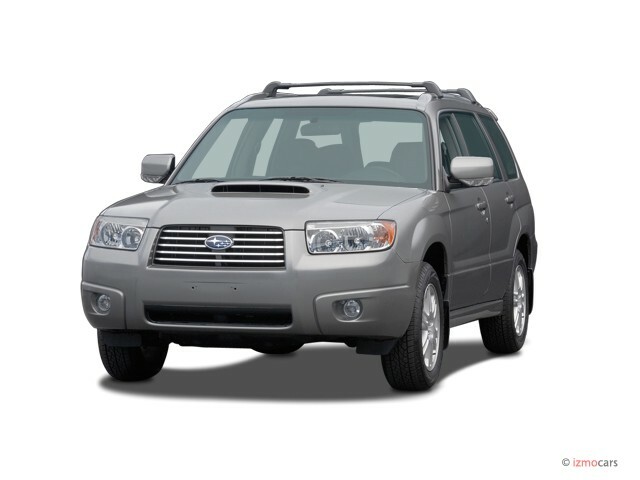 The turbo powerplant in the ’05 Forester (along with the current WRX) has a rather complicated emissions/exhaust system, consisting of a left and right branch, each containing a pre-cat, a cat, a muffler, and a resonator. For ’06, Subaru engineers have removed the pre-cat and added a secondary air pump underhood. This allows them to more easily meet emissions and at the same time find better fuel economy. Look for a similar arrangement to find its way to the WRX next year, Subaru officials hinted. The real-world power gain with the turbo is more pronounced than the numbers would indicate. Even though the torque rating hasn’t changed (at 235 lb-ft), throttle response seems meatier and more prompt, with more available torque throughout most of the rev band. Both engines now incorporate an electric throttle. The transmissions boast improvements, too. The shift linkage for the manual transmission has been revised for shorter throws and a tighter feel, and there’s also a double-cone synchronizer for first gear; and the four-speed automatic has revised ratios and shift logic. Peak torque of the naturally aspirated engine is officially unchanged, at 166 lb-ft, but the Forester seems to have noticeably more middle-rev grunt than before. And unlike many other four-cylinder engines in competing vehicles, the Forester’s flat four doesn’t seem to be unhappy with the optional four-speed automatic. Driveability is very satisfying with either transmission option. Even with the standard engine, the Forester feels a good deal more peppy and fun to drive than competitors like the Toyota RAV4 or Honda CR-V. Those who’ve driven older Subes will notice that much of the characteristic Subaru flat-four “thrump” sound has been tuned out. The Forester’s engine seems happiest in the 2500-4000 rpm range during normal driving, it doesn’t turn particularly coarse or buzzy when revved higher. If you’re not into the higher price, gas bills, and ancillary costs of the turbo, we found the standard five-speed, 173-hp version to be very satisfying on the back roads of southwesternPennsylvania . The suspension has also been mildly retuned for ’06. Mounting points have been changed in the front suspension, though the geometry remains the same, and in back a crossmember has been strengthened to provide more lateral rigidity. Compared to the competition in its price/size class, the Forester still rides more firmly, but it also provides much better handling than any other small SUVs. The Forester’s handling is still tuned toward plenty of understeer; and the Yokohama Geolander tires (standard on all models) were very vocal in front when approaching the limits of adhesion. If you’re in a controlled environment you can make the handling more neutral with your right foot, but with plenty of birch trees, Amish buggies, and blind crests around many of the southwestern Pennsylvania corners, we decided not to push our luck. Don’t expect to see any compromise in the Forester’s already very impressive off-road performance. Ride height remains exactly the same, to retain the low center of mass, but Subaru engineers also found more than a half-inch of extra ground clearance through the exhaust-system redesign; clearance is now 8.1 inches, up from 7.5. The brake system gets a retuned brake booster, which helps provide a firmer pedal feel with better feedback for road conditions. Although there’s a bit more nosedive, the pedal feel on disc-brake models is now on par with that of the performance WRX. Safetywise, the Forester has always been given high ratings, and with no significant changes to the body structure it’s expected to keep its IIHS rating of “good” in both frontal and side impacts. Anti-lock brakes and side-impact airbags are standard on all models, as are newly redesigned active head restraints. The base-level 2.5 X model includes many standard convenience features that are optional on competing models, air conditioning with air filtration, keyless entry with a security system, and large 16-inch wheels. With the Premium Package you add to the 2.5 X rear disc brakes, Electronic Brakeforce Distribution (EBD), limited-slip rear differential, a large moonroof, heated seats and mirrors, power seats, automatic climate control, and more. The L.L. Bean Edition brings in a special appearance theme with unique cladding, plus leather upholstery with Alcantara bolsters, a Momo wood- and leather-wrapped steering wheel, and a load-leveling rear suspension. The XT Limited model adds to the Premium the Turbo engine along with subtle trim and appearance items. The Forester’s interior fits the exterior — functional and attractive, but simple — although we should note that Subaru has improved its finishes and materials in the past few years. Those who are accustomed to more trucklike SUVs will note that the driving position is more carlike, rather than scooped up and forward. You look ahead of the hood, not onto it. The center console has been newly redesigned to include a versatile armrest for the driver and passenger that can flip around to become a cupholder for rear-seat occupants. Speaking of the back seat, this 6’-6” reporter fit quite well back there and wouldn’t mind it for around-town trips — if he didn’t always insist on being behind the wheel. While fiddling with the fan setting on our test Forester, we found our only major complaint with the interior/dash design: From many drivers’ lines of sight, the climate controls end up being awkwardly behind or beside their knee. On a side note, on coarse surfaces we wished for a bit less cabin noise and ride harshness, too. Gas mileage with either engine isn’t stellar, but the base engine is competitive with any of the lower-power four-cylinder competition and the turbo is lots better than competing V-6s. With the engine tweaks, for ’06 it’s been improved slightly on the standard engine and significantly on the turbo, which now carries a rating of 21 city, 26 highway with automatic and 19 city, 25 highway with the five-speed manual. There’s one thing we haven’t talked about yet for the XT turbo model — the stealth factor. The current 210-hp turbo Forester actually turns better 0-60 times (of well under 6.0 seconds) than Subaru’s breakthrough performance car, the 227-hp WRX. The upcoming ’06 turbo should be even faster — according to Subaru officials, several tenths of a second faster to 60. Oh, but there’s one catch: the turbo demands premium fuel. The Forester is a vehicle that’s fun to drive on a dry road yet practical year-round, with the traction and capability to blast through snow in the winter. Since it’s not a heavyweight, it’s also likely to be better on ice and slippery road conditions. So what are the Forester’s competitors? The obvious ones for the standard-engine version are the Honda CR-V, Toyota RAV4, possibly the lower-priced Kia Sportage and Hyundai Tucson, too. Next to each of those, with the frameless doors, boxer engine, and more of an emphasis on handling/performance, the Forester just has a bit more character. Get the turbo and it’ll be our little secret, okay?